They will be available to all Pro Source dealers exclusively. What is a Pro Source dealer and how does anyone locate one? Polk also used to list Custom Installers on the website. Now, when I search on my zip, the 10 closest dealer locations to me are Best Buy and The Home Depot? The Home Depot didn't have the Signature series in any finish. Bummer DSkip is not in CA. 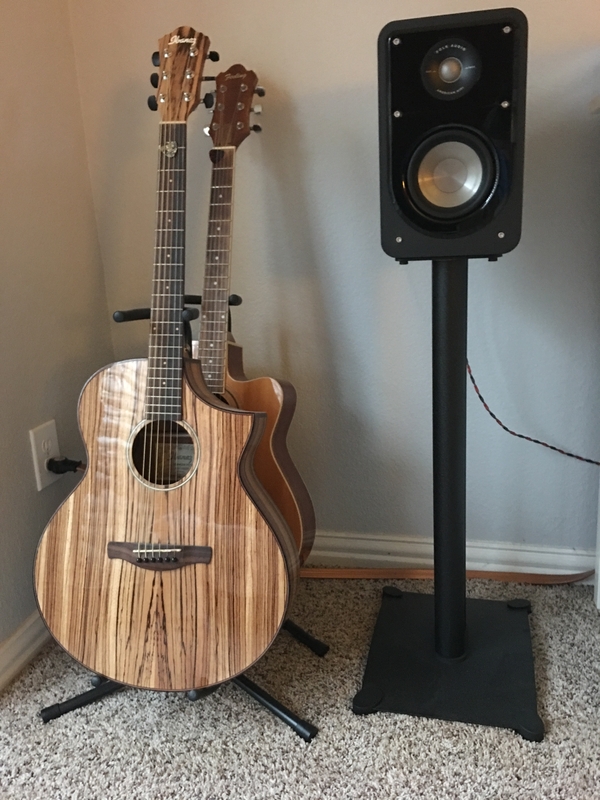 I liked the walnut and the way it blends well with the rest of the speaker. 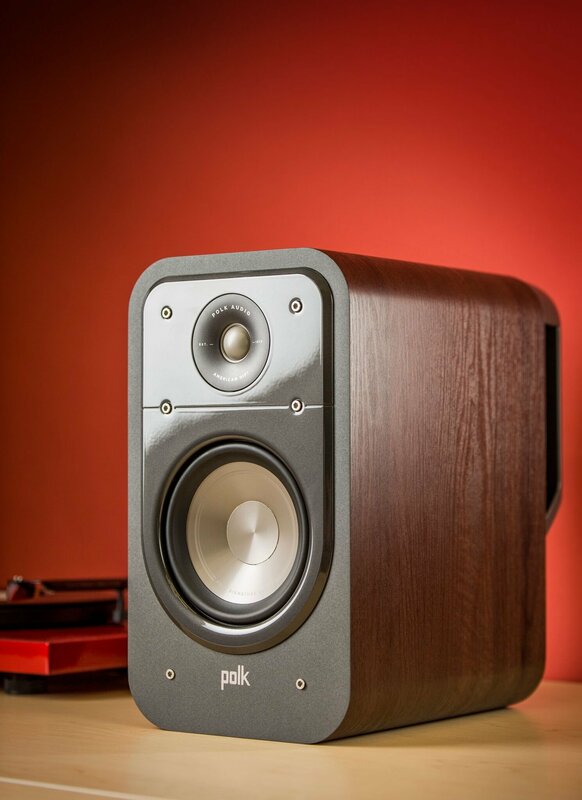 Awesome speaker and WAF should be high on these. errr now I have to wait for walnut. I may be in the minority, but I love the look of the walnut/gray combo. Need to try to get my eyes on an actual set sometime. I saw them in person today, Oh man sweet! If Polk could have sold them to me I would have busted out the Visa and taken the wrath from the wife. Trust me they look 10X better in person. For a matching stain it would be Old Masters dark walnut. I am digging my new set up. That's a nice match with your floors. Nice setup man. Great pic! Loving the set up! By the way, that pic has been making its way around our offices today. They look like they were designed for that set up. Hey @D2Lo, Pro Source dealers... How do we learn who they are?? Very, very nice. Looks like you have a good receiver on them too. Rock them bad boy's. @DSkip, can you get the walnut shipped to CA once released? We all used to be registered through distribution as Polk dealers. After the housing crash the library slid downhill. I know @dskip has registered can should be able to be verified for warranty. There are 1/2 dozen whole distributors through out the nation, many with national offices that dealers can invite clients to sit in demo rooms upon appointments, or the pro-dealer like Skip may have demos already at the office. I would suspect this includes AVAD and WAVE, or am I wrong? They do look great in walnut. All things considered, I think Polk hit a solid homerun with this new line. The S60s and S35 I setup this week were well-built, and produced quality sound that I'm sure will improve with break-in. 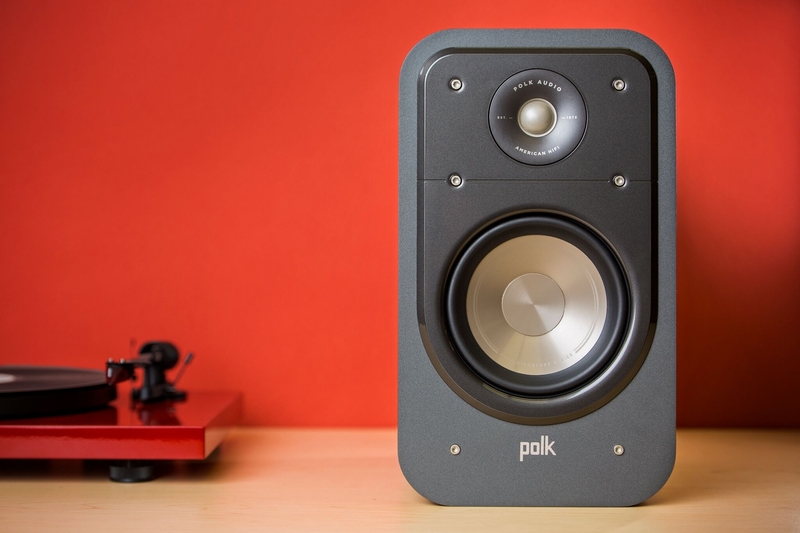 (Save $50 on a pair of Polk Audio Signature S10 satellite speakers when you purchase two select Polk Audio Signature series floor-standing speakers. Just add the qualifying speakers to your cart and we'll automatically add the instant savings to your order. Offer ends 2/25/2017. We retain the right to cancel and/or modify this offer at any time without prior notice. Return of qualifying purchase will void the offer and will require an adjustment of the refund amount to reflect the discount given). Yes we had a rare good weekend for movies and music. How do you think my Marantz SR5010 would drive these? Well. The 5010 isn't a beastly receiver, but the Signatures are easy to drive. My Ampino integrated at 25 watts pairs exceptionally well with the S60. 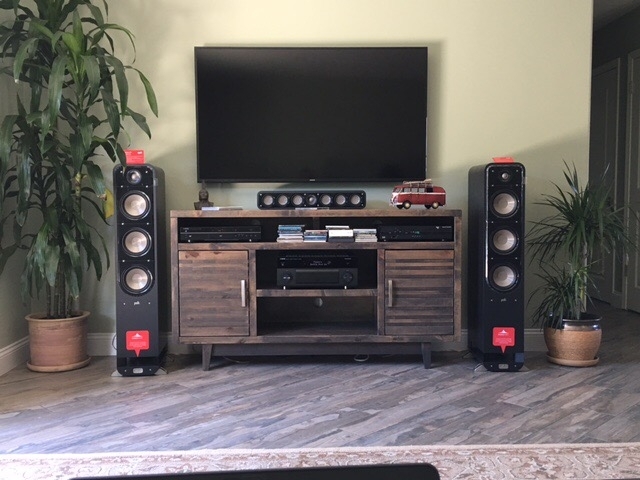 For a 2 channel system, I'm not sure it gets any better with the S60. The pairing is silky smooth and detailed while still reaching low enough to make you feel like you aren't missing anything. I spent the last two years on woodworking tools now that's complete it full thrust to HT. These are truly beautiful. I wish I have this model.